Queens of the Stone Age are back in action with a new album under their belts and an ongoing tour they’ve been on for months. They came to Brooklyn back in June for a “secret” intimate show at Brooklyn Masonic Temple, and they’ve just announced they’ll be returning this fall for something much larger. 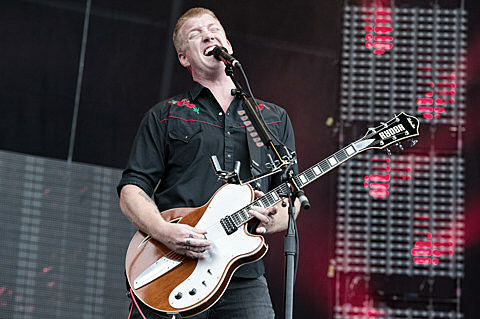 QOTSA will headline Barclays Center on December 14. Tickets for that show go on pre-sale Wednesday (8/28) at 10 AM (password: “Ocean”). All upcoming dates are listed below. Another major rock band who are reunited this year (and like QOTSA, play Philly’s Made In America fest), Nine Inch Nails, headline the same venue in October. They also just made their new album available for streaming.